What a study in contrasts these two 35mm cameras are: one a metal, mechanical SLR and the other a plastic, auto-everything compact. 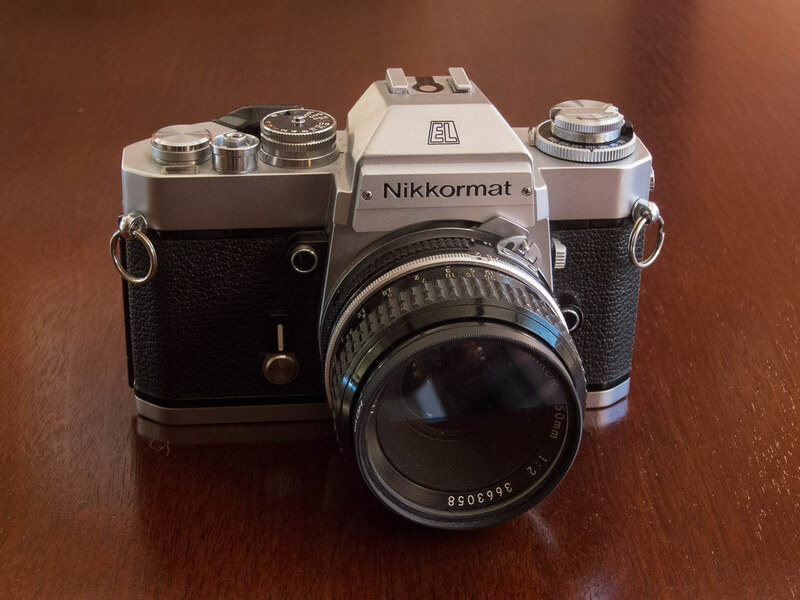 First, the SLR, a Nikkormat EL. This was the end of Nikon’s Nikkormat line. It’s a fine camera and a pleasure to use. See my freshened review here. 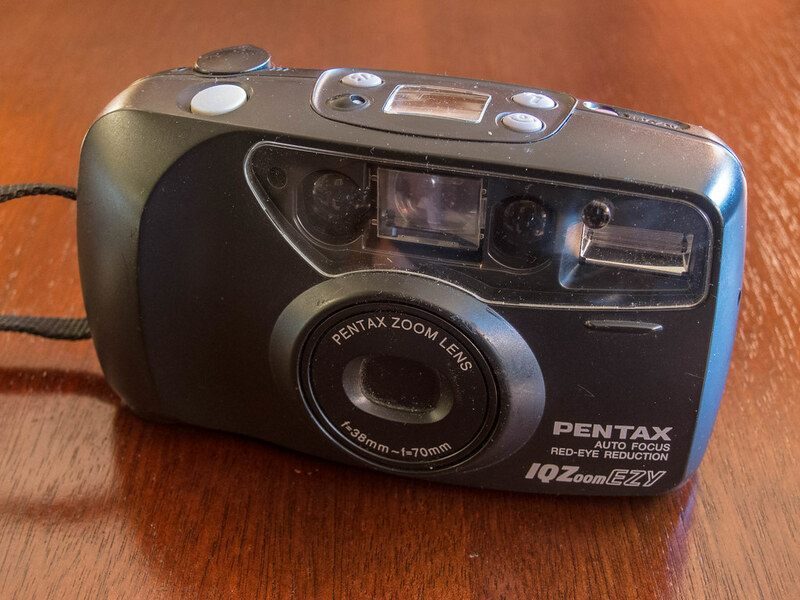 The Pentax IQZoom EZY is a chunky compact with a 38-70mm zoom lens. Cameras like these were all the rage in the 90s, and again today among film shooters. Read my updated review here.